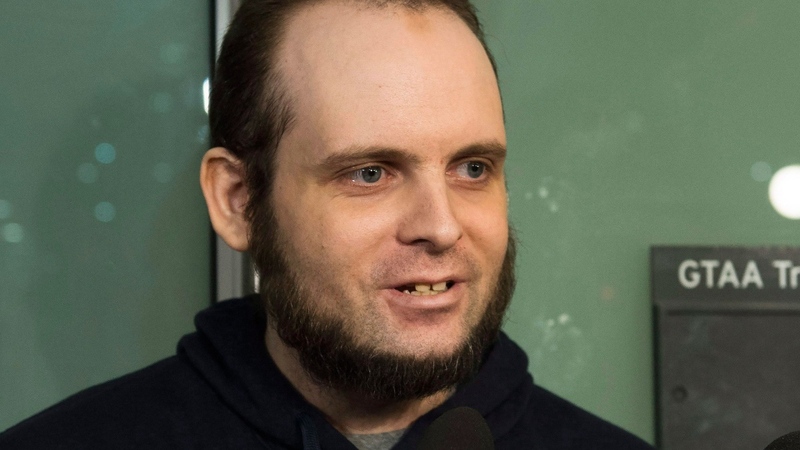 Joshua Boyle, the former Afghanistan hostage who now finds himself behind bars in Canada facing a battery of serious criminal charges, will have to wait at least a few more days to find out if he'll be released on bail. A pro-forma court appearance Wednesday was over in a matter of minutes, with the 34-year-old Boyle appearing via video link and neither of his lawyers there in person, leaving Canadians with more questions than answers about the unusual circumstances surrounding the case. Not three months ago, Boyle was at the centre of a media frenzy, his family finally freed by Pakistani forces five years after he and his American wife, Caitlan Coleman, were taken hostage in 2012 while backpacking in Afghanistan. On Wednesday, he appeared in a very different context: on a video screen from the Ottawa Carleton Detention Centre, clad in an orange jumpsuit. Boyle was arrested by Ottawa police late last month and made his first court appearance on New Year's Day to face 15 charges, including eight counts of assault, two of sexual assault, two of unlawful confinement and one count of causing someone to "take a noxious thing, namely Trazodone," an antidepressant. The charges relate to two victims, but a court order prohibits the publication of any details that might identify them or any witnesses. None of the charges have been proven in court. Boyle did little beyond confirm his identity for Justice Norman Boxall before the case was adjourned until Monday to set a date for a bail hearing. Court also heard that Lawrence Greenspon, one of Ottawa's most high-profile criminal lawyers, has joined his defence team. "Mr. Boyle is presumed innocent of all charges. He has no criminal record and has never been in trouble with the police," Greenspon and colleague Eric Granger said in a statement. "As Mr. Boyle has only just been charged, we are waiting to receive more information (disclosure) about these allegations so that we can respond to them appropriately in court in defending Mr. Boyle." Johanne Aube, a longtime resident of the small Ottawa apartment building where Boyle and his family were living, said police showed up late Saturday night. "They just asked me if I'd heard something 20 minutes ago and I said no." The family moved in about a month ago and indicated they would be staying for only a short time, Aube said. They were polite and always smiled when passing on the stairs, she said. Aube added she saw Coleman briefly on Tuesday, before word of the arrest broke, and that she appeared to be well. "She didn't look distressed at all." Boyle and Coleman, who was pregnant at the time, were taken hostage in 2012 by a Taliban-linked group while backpacking in Afghanistan. The couple had three children in captivity. Their rescue in October made headlines around the world and even prompted a meeting with Prime Minister Justin Trudeau. The Prime Minister's Office also said it would not comment since the investigation is ongoing, although a government official has confirmed that the family met Trudeau at their request. 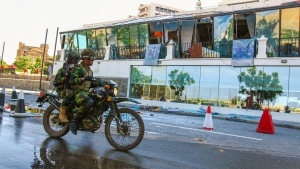 The prime minister generally meets any returning hostage with connections to Canada and discussion of the hostage-taking was the main purpose of the meeting, said the official. Boyle is also facing one charge each of uttering a death threat and misleading a police officer. All 15 charges stem from events that allegedly occurred between Oct. 14 and Dec. 30, after Boyle and his family returned to Canada. On Tuesday, Granger said his client is "coping." "He's as OK as anyone is who is suddenly and unexpectedly facing charges for the first time." Boyle has said he and his wife were helping ordinary villagers in a Taliban-controlled area of Afghanistan when they were seized. Shortly after his return home, he told The Canadian Press that conditions during their five-year ordeal changed over time as the family was shuffled among at least three prisons. He described the first as "remarkably barbaric," the second as more comfortable and the third as a place of violence in which he and his wife were frequently separated and beaten. Boyle said their captors from the Taliban-linked Haqqani network raped his wife and had also caused her to suffer a miscarriage. Shortly after landing in Toronto after being rescued, he demanded that his kidnappers be brought to justice. In an interview with ABC News, Coleman, who is from Stewartstown, Pa., recalled that guards dragged her husband from their cell, and one of them threw her on the ground, shouting, "I will kill you, I will kill you" before assaulting her. The couple and their children had gone to Boyle's parents home in Smiths Falls, Ont., after being rescued.